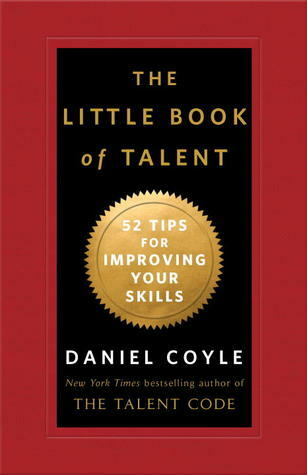 Daniel Coyle wrote a practical and pithy book with 52 tips for improving your skills. I love this small 120 page book. Coyle gets right to the point and you are offered an eclectic collection of 52 tips to improve your skills. Stare at who you want to become. Use models and watch people in person. Post pictures. Watch YouTube videos. Spend fifteen minutes a day engraving the skill on your brain. Even a short period of focused time can help you engrave patterns of performance into your thinking and doing. Steal without apology. Adopt or adapt the way someone else does something into your own repetoire. Buy a notebook. Keep a journal, a blog, a collection on Evernote. Capture your learning and impressions. Be willing to be stupid. When you reach beyond the familiar know that you will sometimes fall and fail. Embrace stupidity and banish perfection when you are building a new skill. David Zinger is a global employee engagement expert who in 2013 has worked on engagement in Delhi, Mumbai, Pune, Berlin, Prague and New York. He builds his own skills and talents in 24 minute periods. To access Mr. Zinger’s services email him: david@davidzinger.com.